A Work Of Art, Inc. with offices in Coral Springs, designs custom websites and has been in business in Coral Springs serving businesses for over 22 years. We offer several options for website design budgets from custom html coding and original custom designs in high end graphic design applications to content management templates for low budget websites. Our specialty is custom designed and custom coded web design and development. For 25 years we have been the premier web design and web development company in South Florida. Our Coral Springs web design firm offers free consultation to our clients to guide you through the development and design stages and help with business development by reviewing your business plan so we can devise the best plan to meet your business goals. Our client's websites are hosted on a dedicated server with all the capabilities, security, software and flexibility small companies to fortune 500 companies would need as a platform to build their website and online infrastructure. We provide unlimited design proofs until you are happy with your web design because we are very good at what we do and are confident that you will be very pleased with our design capabilities. We don't ever surprise you with additional charges or restrict what you get. Once you are happy with your design we go to the coding stage and build your website on the dedicated server so you can see the progress as the site is being built. There is no design or coding challenge our engineers cannot perform. You own your domain, hosting and website and because we custom design and code the website you can move it from server to server without restriction. A content management based website is restricted to the system it is built on so we don't recommend that platform for you site. If you demand that you need to control the content then we can custom code your website on your database with an administrator control panel so you can manage your content even though it is not on a typical CMS platform. This gives you the flexibility to move your website anywhere you want to. Our web design and development staff works around the clock seven days a week with the kind of customer support you wish you had from every company. Besides our technical and design acumen, our customer service and support skills are unmatched by anyone to this day. For those simple reasons, we have been in business and growing for over 25 years. 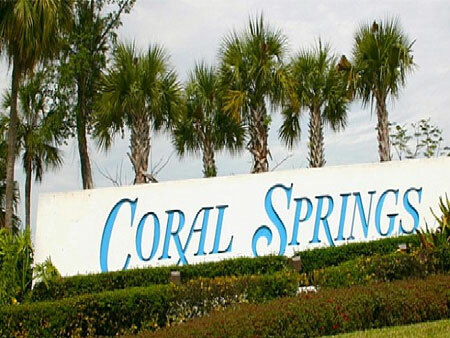 Coral Springs is West of Fort Lauderdale and Pompano Beach near the Florida Everglades and is home to our web design company in addition to our Fort Lauderdale offices. 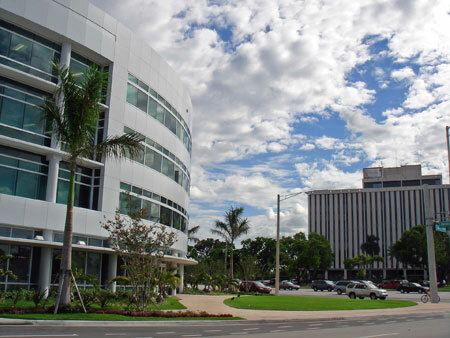 We were the first web design company in Coral Springs, near Atlantic Blvd. and University Drive. and today we continue to boast the best web design company in our town. Businesses are very familiar with our reputation and most of our new business comes from referrals from our long time clients in Broward County. hen your website is designed we use proper WC3 compliancy and structured according to Google's most recent algorithm updates so it is optimized correctly as SEO is a main objective when we develop a site for our clients. Proper internal linking, anchor text, meta tags, original and useful content, usability, automatically updating sitemaps and loading speed are just a few parameters we adhere in our company's web design standards. A Work Of Art also will set up, optimize and market your social media accounts along with providing expert SEO, search engine marketing and viral / natural link building programs to promote your website and earn you top ranking on all major search engines. Ask us about our amazing success stories with SEO and search engine marketing with regard to our client's ranking and how their businesses have grown and often doubled and tripled in revenue.